Home » » BEFORE YOU SIGN THAT DOCUMENT by Feranmi Akinluyi. BEFORE YOU SIGN THAT DOCUMENT by Feranmi Akinluyi. 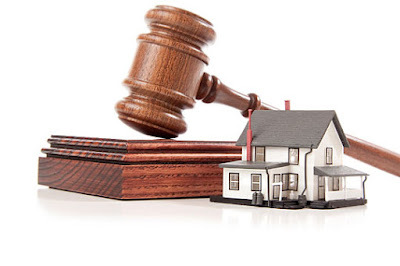 Generally, all oral contracts for sale of land are prohibited and where such contract exists, it will not be enforceable. The reason for this is because of the provisions of the Statute of Fraud 1677 which requires that there must be some memorandum or notes in writing in respect of contract for sale of land, otherwise such contract is unenforceable. It must be noted that regardless the relationship between the vendor (seller) and the purchaser (buyer), the contract must be in writing. In Nigeria, the enactment of the Land Use Act 1978 has vested all lands in the Governor of a state to hold in trust for the people of the state. Hence, all rights associated with lands have now been vested in the governor as a custodian, such rights being exercised by his prerogative and discretion. This empowerment has made all land transactions ranging from mortgage, to outright sale, to purchase, all subject to the Governor’s consent without which such transaction can be declared an exercise in nullity. The complexity of land administration in Nigeria now makes it necessary to ensure proper documentation and assertion of lands before execution otherwise an investor may be at the mercy of the Almighty God. In any land transaction, proper care must be taken to ensure that the history of the land is traced and ascertainable, and not just some mere speculation nor the narration of a fantastic story-teller. A purchaser or a mortgagee whose rights becomes a priority after the transaction must never be in an hurry to part with his funds, neither must he take the narration of the vendor or mortgagor hook, line and sinker. He must investigate the history of the land. Where the land is a communal land, i e belonging to the community or family, the consent of the principal members and heads of the community or family must be obtained before any valid sale. Also, town planning laws and regulations may restrict the sale and transfer of land where the purpose of which they are intended to be used are contrary to the purpose of town planning laws. For instance, some areas are preserved for commercial or industrial use only or government reserved area (G.R.A). 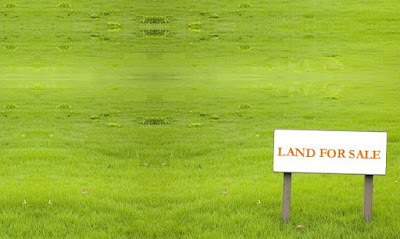 Further, a purchaser or a mortgagor must sight the title document of the land in question. He must demand that he sight the original copy of the document and must also demand that a copy of the document is given to him. The essence of a copy is for him to conduct searches at the land registry and appropriate land bureau in the state. He must ensure that the property is not subject to any encumbrance or impediment that can otherwise affect his title to land. He must exercise strong caution when any red flag is raised. The mere production of a valid document of title does not necessarily mean that it is a good root of title. The document given must have the following characteristics. c. The grantor has the authority and capacity to make the grant. d. It has the effect claimed by the holder of the instrument. A purchaser or a mortgagor is in the position of an investor, therefore, he must exercise due caution to ensure that he does not invest his funds in a wrong transaction. He must safeguard himself against loss, he must ensure the proper documents are prepared and properly executed. He must not be penny wise, pound foolish; he must not try to avoid the requisite legal fees. He must ensure that no documentation is left unattended. Finally, it may just be safe to get professional help from a lawyer. A lawyer would help in ensuring that his client gets the best deal; is properly advised all along the transaction, while also ensuring the preparation and execution of all legal documents pertaining to the land. A lawyer would save the expenses of running around in confusion trying to get the governor’s consent. In the end, land ownership is usually defined by the validity of the document in a party’s possession and not by the price or receipt of the land. Just like the share certificate issued by a company’s registrar; land document is the proof of title to that well-defined geographical location. What tragedy would it be for you to realize at the hour of need that those sheets are just some worthless pieces of paper. A tragedy that occurs on a daily basis; it is safe to fact-check before your sign those papers.